This time last week I shared a deeeeelicious Healthy Baked Donut Recipe with you that was also grain free and refined sugar free - and I promised I'd be sharing different toppings and ideas for your donuts over the coming weeks. Since posting I have received so many emails, comments, messages and Instagram tags from you all who have made the donuts for yourselves - meaning that I then had donut cravings myself and whipped up batch after batch. 2. 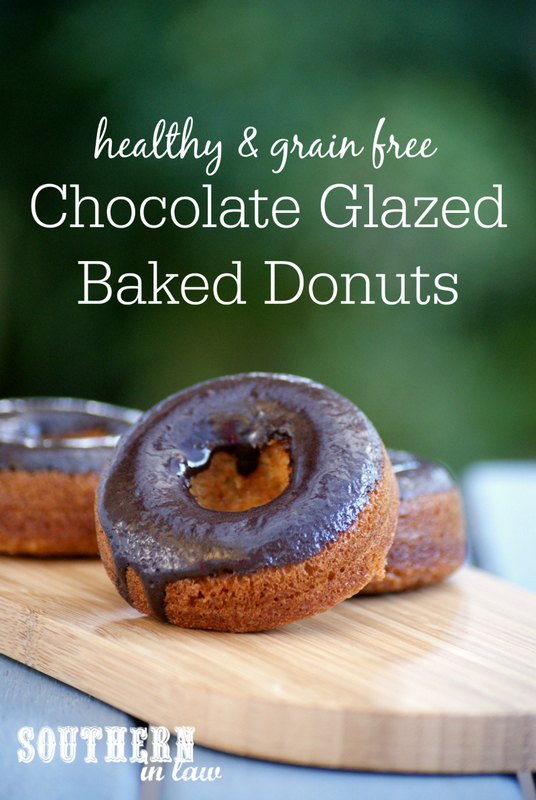 Because it means I have an awesome healthy donut glaze recipe to share with you today! 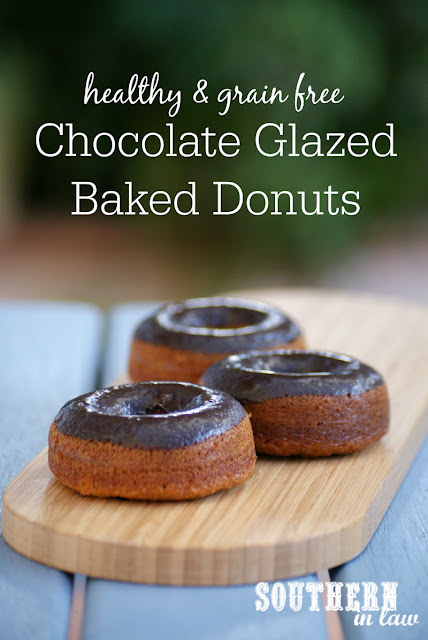 I thought these donuts were incredible before - but when I smothered them in this two ingredient chocolate glaze, I realised that was only the beginning of their deliciousness. The donuts themselves have just four ingredients and this glaze uses just two more, however, whilst it's ridiculously simple it is soooooooooooo delicious that you'd never know! I won't blame you if you quadruple the recipe and eat it with a spoon either, it's that good. Follow our Healthy Grain Free Baked Donuts Recipe and allow to cool for 15 minutes before adding your glaze. Mix all of your glaze ingredients together in a small mixing bowl until smooth. Taste and add any additional maple syrup if desired. Dip your donuts into the glaze, twisting them once in the bowl to ensure the entire top is covered. 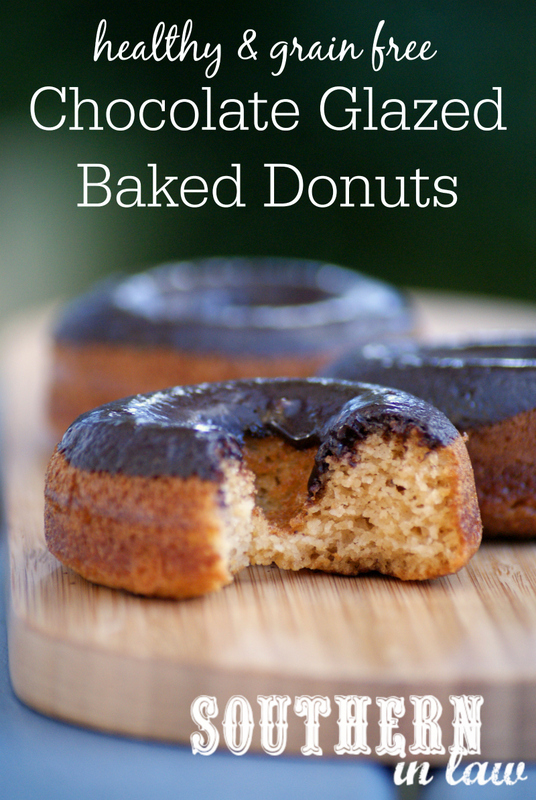 If desired (for a thicker coating), dip all of your donuts into the glaze a second time. But tell me, what's your favourite kind of donut? And do you write doughnut or donut? I never really know what's right! I have a recent obsession with donuts so you are speaking my language!! I really need to get a donut pan to make all of these yummy treats. These look delicious! I am such a sucker for a sweet treat, but always like to try to boost nutrition when possible. Thanks for this recipe, Kristy! You shouldn't have told me that. I work across the street from Big W.
Haha. Fingers crossed they've got them in stock! !